With Valentine’s Day approaching, hearts are all the rage. 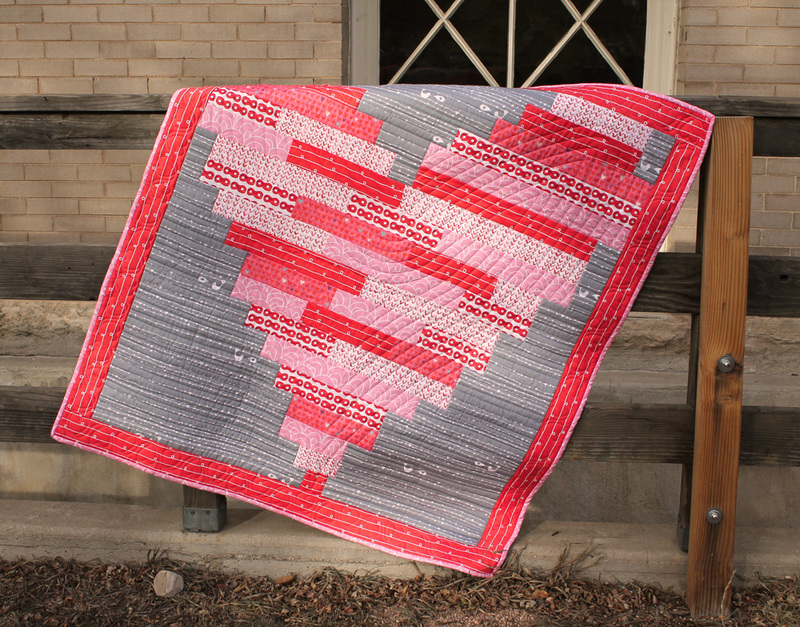 The I Heart You Quilt from Sulky makes a great gift for a special person on Valentine’s Day or any time of year. Did we mention the quilt pattern is free? 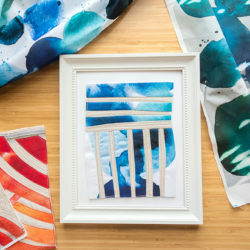 Today, Ellen March, Director of Content for Sulky of America, is stopping by the blog share her creative process for developing the heart quilt pattern and tips for combining Spoonflower fabrics with Sulky threads to create a truly unique and customized quilt. For an added bonus, Ellen gave Fill-A-Yard® a try for the first time! 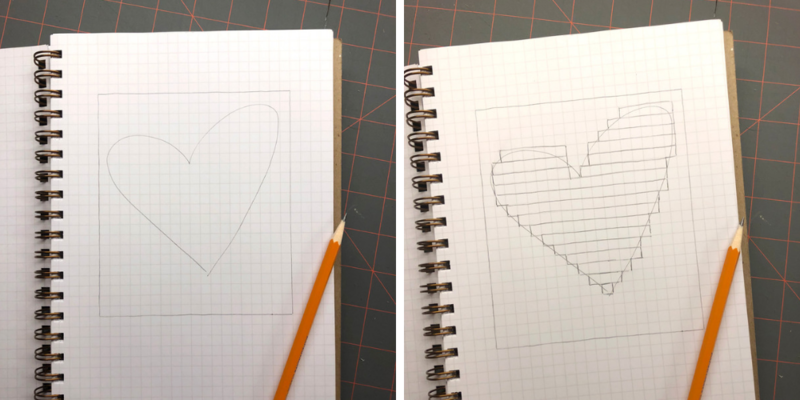 Ellen: The I Heart You quilt pattern started as a simple sketch of a heart within a rectangle. I wanted the heart to fill the quilt center. Then I planned the strips for piecing the heart. Graph paper is essential for this step. I split up some of the strips in the design to allow for more fabrics to showcase, added borders and chose a color palette. I refined the sketch and color-coded the pieces. What started as a crib-size quilt grew a bit into a 46” x 50-½” quilt. After a whole lot of math and help from a trusted quilter to ensure accuracy, it was time to choose fabrics! 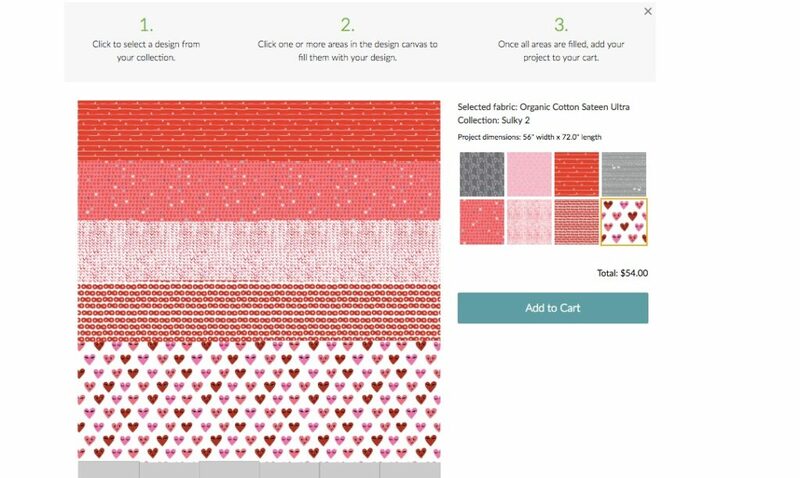 Spoonflower has curated collections for different holidays, which makes it really easy to browse fabric prints based on a theme. I don’t know about you, but I can get lost for hours just searching for the perfect print. 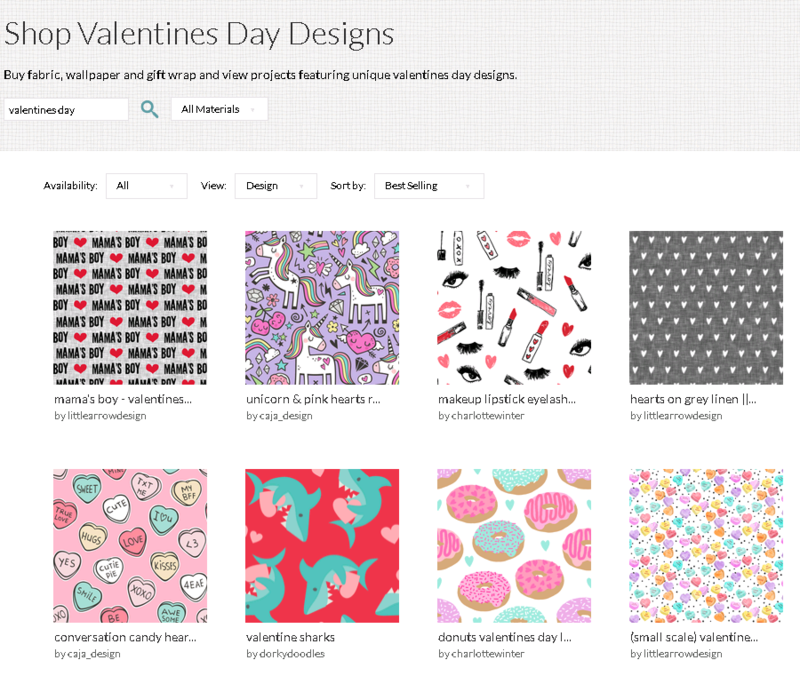 There are so many to choose from in the Spoonflower marketplace and it’s often overwhelming. Don’t get me wrong, I happen to LOVE going down the rabbit hole of fabric choices. However, I appreciate that Spoonflower takes the care to do this for me, saving me a whole lot of time. 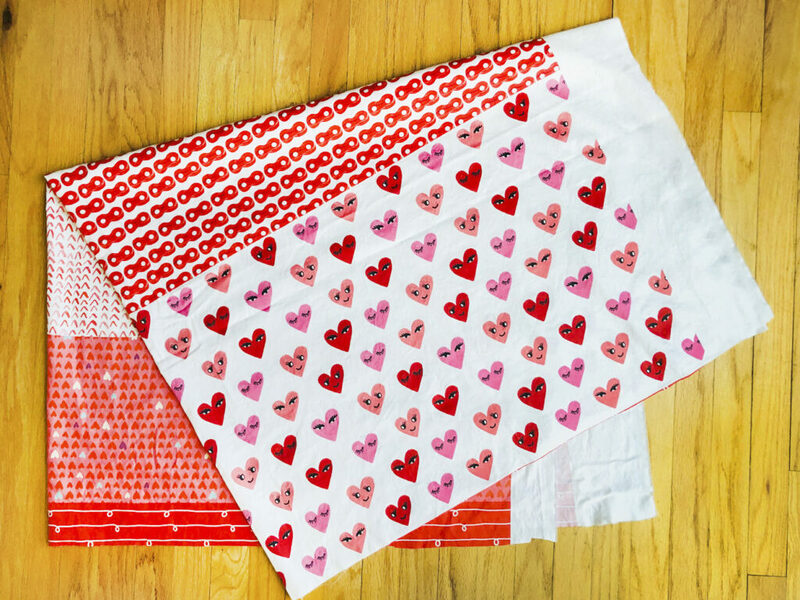 I shopped Valentine’s Day designs in the Marketplace and after a bit of searching, I combined these fabric prints and assigned each one a number according to my quilt diagram. Find out more about the amount of fabric you’ll need for this quilt by downloading the free pattern. 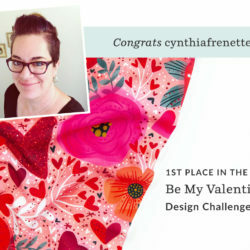 Jump ahead to find even more heart quilt ideas featuring the winning designs of the Be My Valentine Design Challenge. I chose the Organic Cotton Sateen for the quilt. It has a lovely hand and sews beautifully. It also comes in a 56” width, so you get more fabric for your buck. I didn’t adjust any yardage requirements on the pattern, as I wanted anyone using 44”-wide fabric to be able to make the quilt without too much modification. (Plus I like to have extra on hand if I make any piecing mistakes!) This fabric width allowed me to have one full backing piece without any seams, which is a huge bonus in my book. 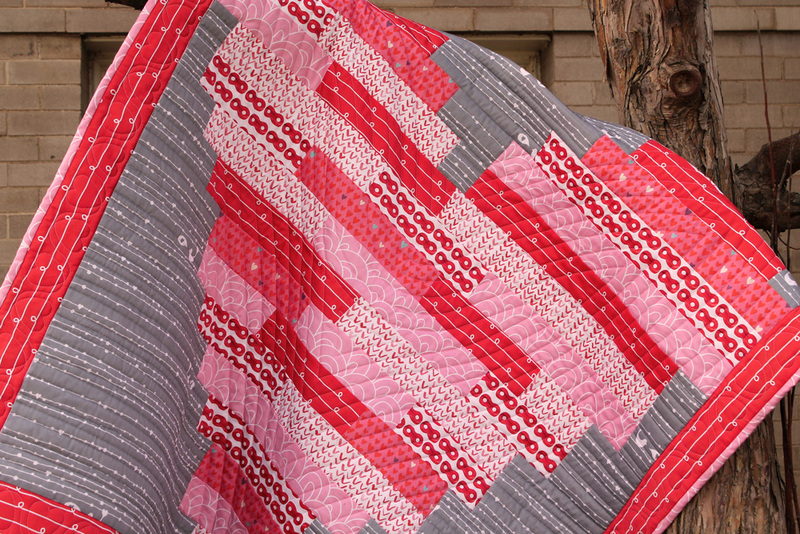 I originally planned to use the design Heart Face Cute by charlottewinter for the borders, but once the quilt was pieced, I liked the look of Red Chains by collectedhandstextiles better. 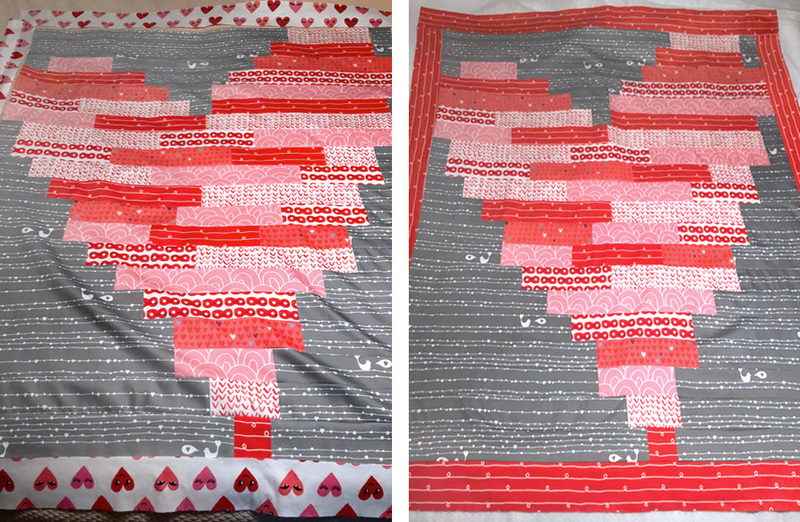 It showcased a print that already existed in the heart and tied the whole quilt top together nicely. Sometimes plans change (even more reason to get extra fabric)! For piecing, I love a 50 wt. cotton thread. Cotton+Steel® Thread by Sulky is great for piecing, as it has a long staple and there are 100 vibrant color choices. Cotton+Steel Thread by Sulky is made with the utmost quality and care, and I want to be sure this quilt lasts a lifetime. I chose a Light Pink color to piece the entire quilt, to match my light pink binding. For quilting, I had a ton of thread choices. I like quilting with invisible thread when I quilt in the ditch for obvious reasons–the thread is invisible and more attention is given to the fabrics and piecing– but I wanted more emphasis on the quilting and more definition inside of the heart. I also planned to have the border quilting computerized, and I thought one of the Sulky Blendables® would be the perfect choice. I’ve seen 30 wt. Cotton, 60 wt Poly Lite™ and 60 wt Poly Deco™ used for quilts, all with different looks. The sheen of 40 wt. Rayon was just the ticket for this quilt. Typically I don’t change between thread colors when quilting, but this quilt almost demanded it. I chose Light Pink for the heart and border and Nickel Gray for the gray bordering pieces. I also made sure to have new quilting needles on hand, as it really does make a difference to swap needles based on the technique and thread you’re using. If you’re apprehensive about quilting a more intricate design, or even straight lines, look to Sulky Stick ’n Stitch™ or Sulky Fabri-Solvy™. It’s a stabilizer that you print or draw on, place on the quilt top and stitch directly over the printed/drawn lines through all quilt layers. Simply wash the quilt when you’re finished and the stabilizer completely washes out with no lingering residue. You must have a quilt that’s washable, so keep that in mind! I made my own quilt binding because I wanted the binding fabric to echo the heart fabric. Plus, I think DIY binding has a better hand and look than prepackaged binding. I cut the binding on the straight grain, rather than on the bias, for two reasons: 1. Less seams (by using the FIll-A-Yard option I would have had way too many bias seams to contend with) 2. The quilt had no curved edges so I didn’t need the stretch that bias binding gives. I still cut the binding ends at 45° angles before piecing them together for strength and aesthetics. I always hand sew my binding to the quilt back, but you could sew it by machine and even choose a decorative stitch to add even more flair to the quilt. The choice is yours! 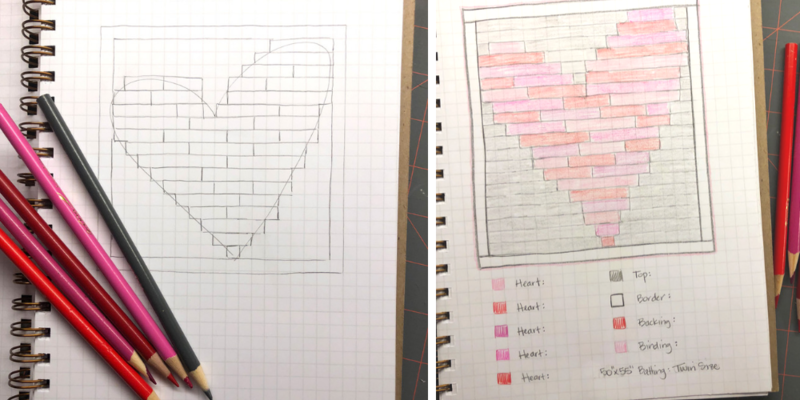 Making your own version of the I Heart You Quilt? 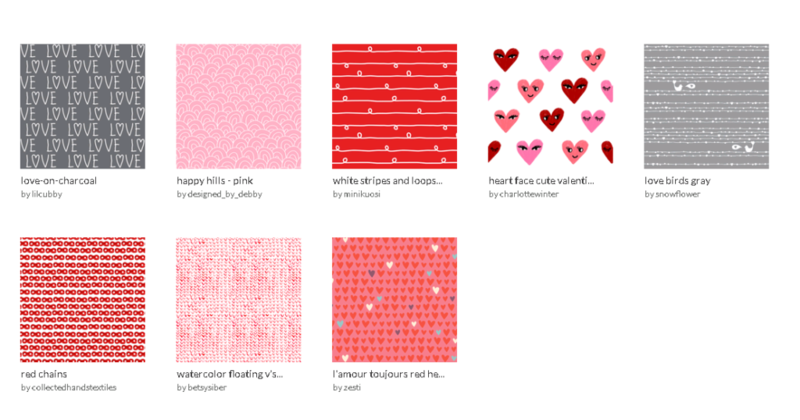 Be sure to tag your photos with #spoonflower so we can see your quilt! 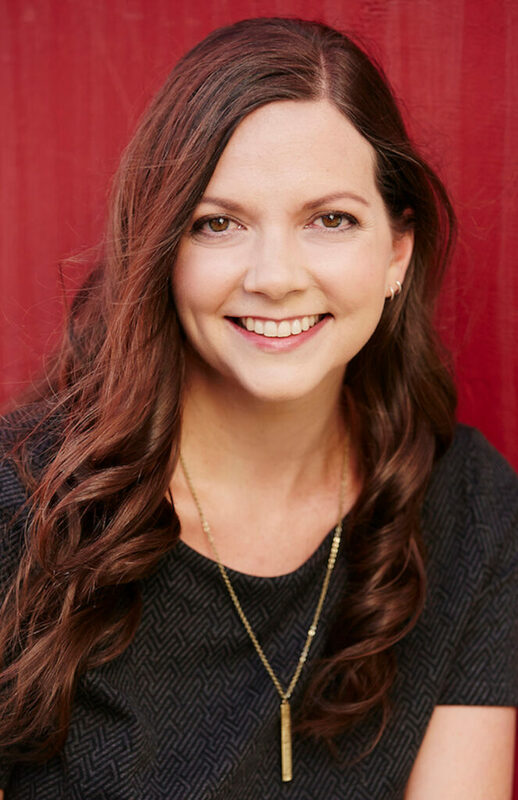 Ellen March is the Director of Content for Sulky of America. The former editor-in-chief of Sew News magazine, Ellen has appeared on numerous crafty television and online shows spreading her love of sewing, including, but not limited to, the Marie Osmond show on the Hallmark channel, Uncommon Threads on the DIY network, MacPhee Workshop on Canada’s PBS, and was the host of Sew it All on PBS for nine seasons. I’m unable to download the free I Heart You quilt pattern. Any suggestions.